"The advent of Mnangagwa into the throne with the assistance of an army paved a way for a new devilish dispensation. Firstly, Mnangagwa came to the ĺeadership of ZANU PF through the back door. When he went to exile he was fired from ZANU PF by the fully constituted politburo of ZANU PF," he said. "This in simple terms means firstly, Mnangagwa was no longer a member of ZANU PF. Secondly, he was no longer the vice president of ZANU PF and of Zimbabwe simultaneously. From nowhere a politburo if I am not mistaken chaired by Obert Mpofu who was not constitutionally mandated to chair the said meeting all of a sudden asked Mugabe to resign because he no longer had the army back up." He said the people and some sections of opposition were please with these development because of desperation not knowing that they were paving a way for a snake, and as of now, the snake is in the room ready to destroy. 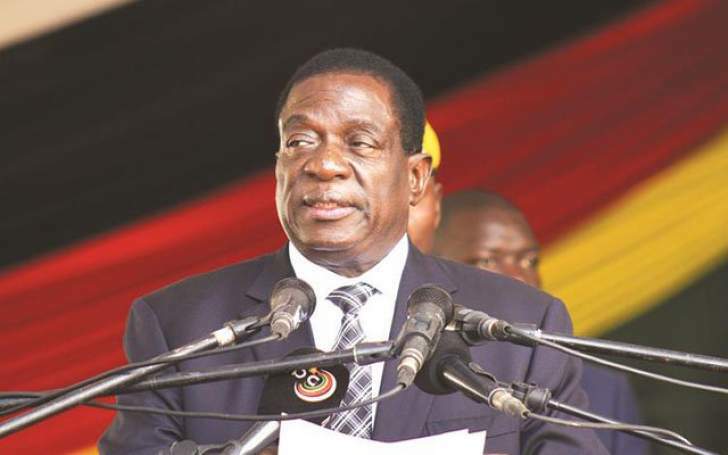 "The point I am trying to derive is that Mr. Mnangagwa fraudulently ascended to the throne of the first citizen unconstitutional and it was going to be very funny if he brought a new dawn of democracy. No one has ever ascended the throne through a military coup and latter on became a changed man. It was going to start with Mnangagwa. Under the rule of Mnangagwa if anyone protest they would just within a second invoke POSA which gives police or military the right to kill protesters and not account for their death. According to POSA the death of the people who were killed in Harare is lawful," he said. "We voted for a new constitution in 2013, but up to now, the ministers discharge their duties using the ACTS of parliament that were used by the Smith regime because the new constitution is not aligned. We did not change the oppressive system, instead we only changed the colour of the oppressor." He said dark days are yet to invade our land. "The peace that we have cried for especially for the past four decades will never exist under Mnangagwa," Ncube said. More on: #Mthwakazi, #Mnangagwa, #New_dispensation, #Total_disaster.